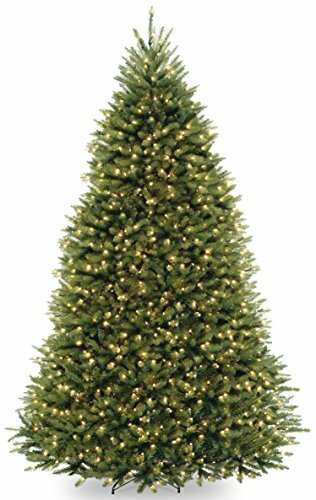 Dunhill Fir Hinged Tree measures 9 ft. tall with 66" diameter. Pre-lit with 900 UL listed, pre-strung Dual Color low voltage LED lights. Tip count: 4026. Lights change from warm white to multicolor. Foot switch controls 9 different light colors and actions. All metal hinged construction (branches are attached to center pole sections). Includes sturdy folding metal tree stand. Light string features BULB-LOCK to keep bulbs from falling out. LED lights are energy-efficient and long lasting. Fire-resistant and non-allergenic. Includes spare bulbs. 5-year tree warranty/3-year lights warranty. assembly instructions included.